The archives of Mary MacKillop and the Sisters of Saint Joseph of the Sacred Heart are the official records of the Congregation dating back to its foundation in the 1800’s. The archives comprise records of Congregational governance and administration, ministries and other activities undertaken as well as information which helps to preserve the history, spirit and charism of the Sisters of Saint Joseph. 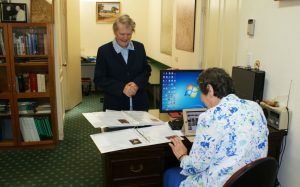 The letters and writings of Saint Mother Mary MacKillop, co-founder of the Sisters of Saint Joseph, are held in the archives. The collection comprises a wide range of formats including manuscripts and personal papers, photographs, artworks, sound recordings, films, videos and artefacts. 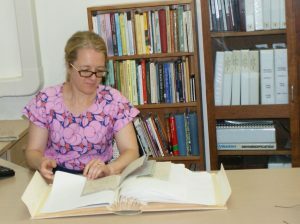 The Congregation also maintains regional and area archival collections in New Zealand, Peru, Ireland and some states of Australia. Access to the archives is restricted. Except where required by law, any access to the records is at the discretion of the Congregation. Any record or class of records in the collection may be restricted at the decision of the Congregational Archivist. Where permitted by the Congregational Archivist, access may be granted for bona fide researchers, subject to conditions. Costs may apply. All applications for access must be in writing to the Congregational Archivist.